Authorities claim Yaneth’s murder was either a robbery gone awry, an extortion case, and/or a family dispute. Basically anything to make it seem like it wasn't a politically motivated killing. Yaneth's body was found near a garbage dump, with severe injuries to her head. Here are two things that weren’t reported in local and international press. Yaneth's murder, which happened in normally peaceful town of Marcala (population 30,000), was the fourth to occur there in a week. 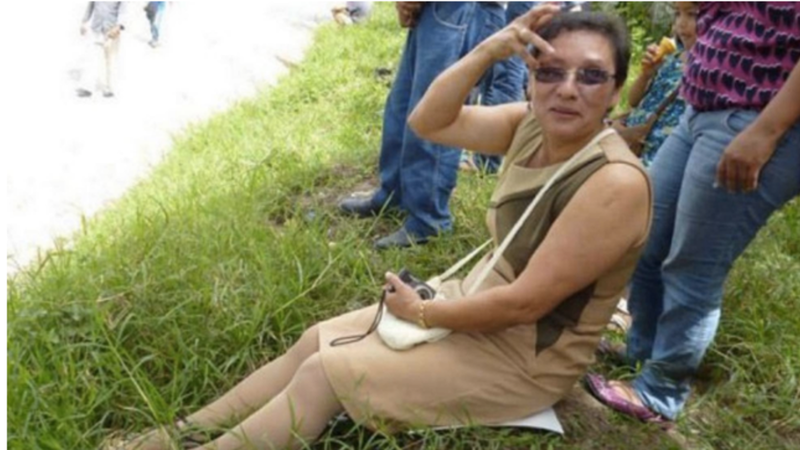 And, the day Yaneth was killed, Honduran President Juan Orlando Hernandez was in Marcala for a surprise visit—something that some people in town saw as a sign of official intimidation by the National Party. Notwithstanding the fact that Honduras’ crime rate is one of the highest in the world, the string of murders is not related to random acts of violence. They are calculated acts of social control. An acquaintance of mine whose family lives in Marcala and is also an activist and organizer for indigenous and environmental rights tells me her family’s house has been shot at several times. It's a clear message. Well, I am Honduran-American, and that partnership doesn't make me proud.